This is the first practice-oriented book to provide professionals with a clear and practical guide in delivering strength-based recovery-oriented CBT intervention. Essentially, strength-based CBT moves away from a deficit and rehabilitation model and offers a person with mental illness a sense of renewed hope and meaning of life. 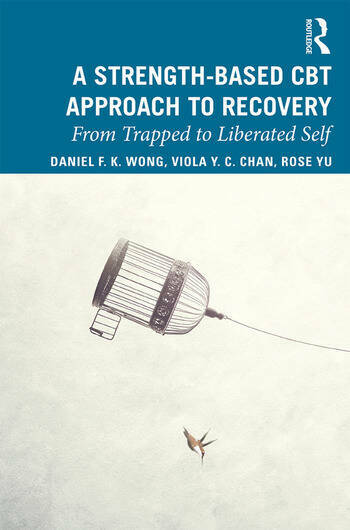 With plenty of case illustrations, the book integrates the recovery model and cognitive-behaviour approaches and provides readers with a theoretical understanding of the recovery process and how various cognitive-behaviour strategies can be skilfully applied to different stages of the recovery process. It is written for professionals such as psychiatrists, psychologists, social workers, occupational therapists and nurses in the mental health fields. Step-by-step illustrations of the use of the various cognitive behavioural strategies and worksheets are provided throughout the book. Daniel Wong Fu Keung is a social work academic and a clinical psychologist. His research team have been actively conducting research in mental health practice and he is a pioneer in indigenizing the application of Cognitive Behaviour Therapy (CBT) for Chinese people with depression, anxiety problems, chronic illnesses, gambling problems, drug addictions among the Chinese. Regarding mental health issues, Professor Wong and his team have conducted numerous studies on mental health literacy of Chinese people in Hong Kong, China, Taiwan and Australia, and on Mental Health First Aid for Chinese people in Hong Kong and Australia. He has written over 100 academic papers and 15 books and professional manuals. Prof. Wong and his colleagues have established the Institute of Cognitive Therapy in Hong Kong and Centre for Holistic Health in Melbourne, Australia to provide training for mental health professionals and promote better mental health among Chinese populations. His research Interest includes CBT, evidence-based practice in mental health, mental health promotion, mental health literacy and mental health issues among migrants. Professor Wong has received numerous awards such as The Fulbright Fellowship, University of Hong Kong and Faculty of Social Sciences Outstanding Teaching Awards, Universitas 21 Fellowship and Fellow of Academy of Cognitive Therapy. Rose Yu Wai Man is a registered social worker with over ten years’ of experience in the mental health field in Hong Kong, Canada and China. She has been working with Professor Wong in preparing training materials and the writing up of a book on Cognitive Behaviour Therapy (CBT). Viola Chan Yuk Ching is a social worker who has been working in mental health service for over 30 years. She has much experience in providing clinical counseling, therapeutic groups, supervising and training frontline social workers in various mental health service settings. Her main interest is application of Cognitive Behaviour Therapy (CBT) on treating different mental illnesses including depression, anxiety & psychosis.